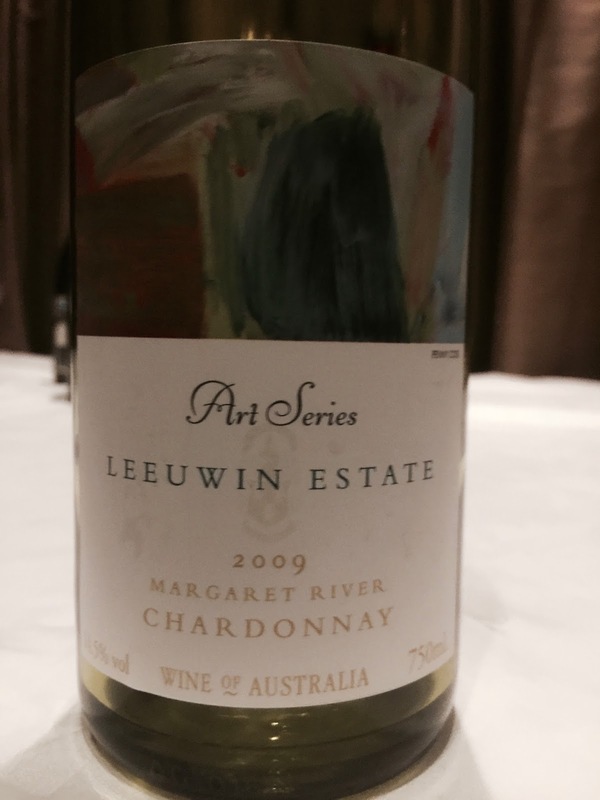 The Leeuwin Estate “Art Series” chardonnay from the Margaret River is one of Australia’s benchmark chardonnay expressions. I have previously enjoyed these wines, and this wine is no exception. However, it must be said that the winemaking influence from oak is quite prominent. I did not spot how much oak is used on Leeuwin’s website (please chime in if you know) but I see that other vintages of this wine see 100% new oak. In the glass, the 2009 Leeuwin has aromatics of cedar, wood, vanilla and nectarine. The palate is full bodied with expressions of nectarine, some lemon at the back and plenty of vanilla. The length is terrifically long and in balance; this is what makes these Leeuwin Art Series chardonnays just so attractive. Unquestionably this a very good wine, although stylistically oak plays a significant role in it.